Made in a variety of Hardwoods, Ash, Cherry, Oak, Beech. 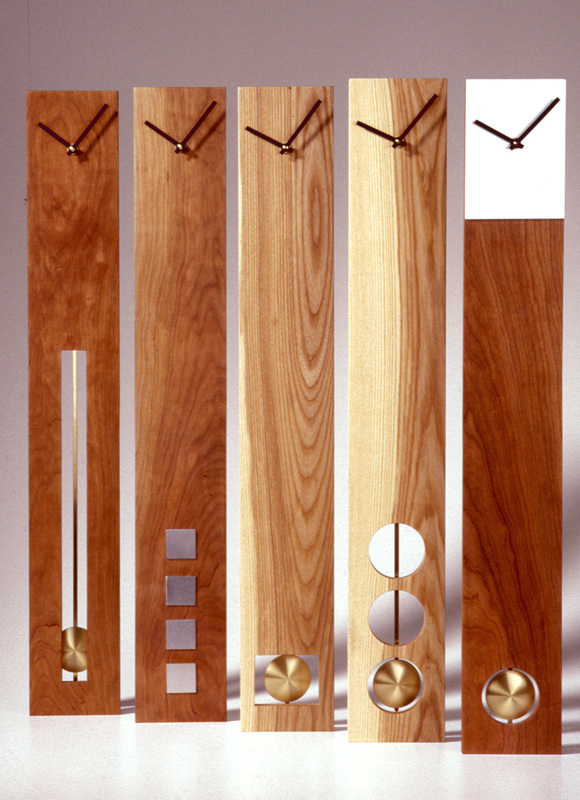 These clocks are wall mounted & measure 75 x 11 x 1.5. The metal used is Stainless Steel & Aluminium.